If you’re looking for cheap car insurance and don’t rack up lots of driving miles, you may find that new usage-based insurance plans can save you money. These plans, available in most states, essentially let you pay by the mile for insurance, but require that you add a device to your car that lets the insurance company track your driving behavior. The pay-as-you-drive model can be a great way for those who drive less than 10,000 miles a year to save some serious cash. Some companies say you can save 30% or more on your premium, depending on your driving habits. Information about your driving behavior, including speed and miles driven, are recorded using a telematics device, which plugs directly into your car’s onboard diagnostics port. The information is sent to the insurance company and typically made available to you on a personalized website, where you can track your progress and see how the information is affecting the cost of your premium. The device is also a plus for parents who want to monitor teen driving for risky habits. Some large car insurance carriers offer this pay-as-you-go insurance, including Snapshot by Progressive, Drivewise from Allstate and Esurance’s DriveSense. State Farm’s Drive Safe & Save program uses a vehicle’s OnStar or SYNC communication service to record information. Newcomer Metromile also offers customized policies, underwritten by the National General Insurance Group, based on data collected from a mileage tracking device. With Metromile, users pay a monthly base rate, plus a few cents per-mile. Unlike some other carriers, Metromile doesn’t take your driving habits into a consideration. Metromile recently announced a deal to provide by-the-mile insurance to Uber drivers. Usage-based insurance plans aren’t available in every state, but most states have at least one option available. Metromile is currently available only in California, Illinois, Oregon and Washington. Although usage-based insurance may save drivers money, the programs have been criticized on privacy grounds because carriers track their customers’ behavior. About 47% of respondents to a 2014 survey by Deloitte Center for Financial Services said they wouldn’t be interested in having their driving monitored. 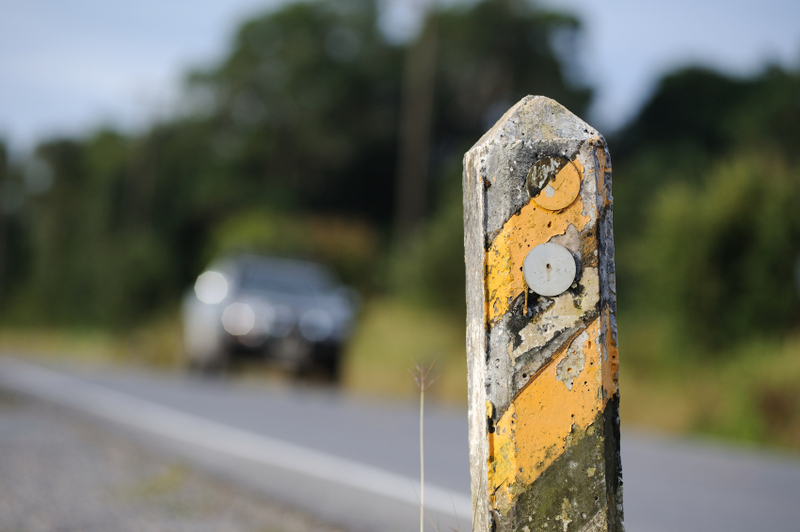 But if you’re willing to give up information about your driving habits, you could potentially save a lot of money. Nearly one-third of the Deloitte survey respondents said they would need to save more than 20% on auto insurance before they would allow their driving behavior to be monitored. Telematics devices record your driving habits, including time of day, speed and miles driven, as well as risky behaviors like sudden, heavy braking and quick acceleration. Thus, the safer you drive, the more you save. About 60% of consumers interested in usage-based insurance said they would be willing to change their driving behavior to get discounts, according to a survey by Towers Watson, a professional services firm headquartered in New York. Those who see the most savings are those who work from home, don’t use their vehicle for work or make heavy use of alternative means of transportation, including walking, biking or public transit. If you have a long commute or take frequent high-mileage trips, usage-based insurance is a more costly option. Some factors that go into traditional premium determinations are unrelated to your actual driving or insurance record, including statistics related to your gender, age, marital status and where you live. With usage-based insurance, your rate is set according to your actual driving behavior patterns, so pricing more accurately reflects your risk. You’ll typically save up to 20% with usage-based insurance plans. But some providers, such as Esurance, offer additional 5% to 10% discounts just for signing up. Your discount depends on your driving habits, but you can’t be penalized if the device on your car reveals risky habits. The worst thing that can happen is you won’t see any savings on your standard premium. 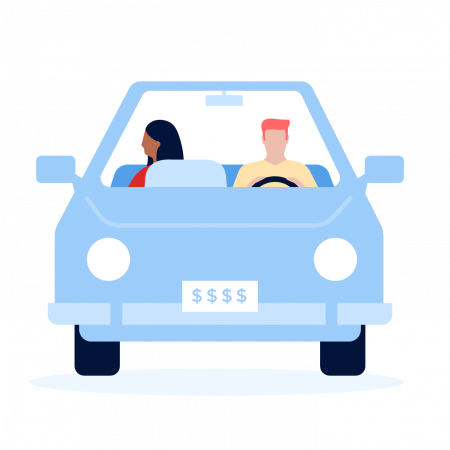 With Metromile, your rate will be only as high as the miles you drive, so if you rack up high mileage, you’ll have to pay for it. If you’re not a frequent driver, and if you don’t mind your data being tracked, usage-based insurance could be the key to cheap car insurance. Plus, it’s a great way to prove to your friends and family that you’re the great driver you say you are.